We're sad to hear about a tragic helicopter crash in the Monchique mountains, Portugal. On December 18th, 1 occupant lost his life. Another occupant and the pilot survived. The pilot was pulled clear of the wreckage by a very brave member of the Bombeiros, (Fire Service). Volunteer fireman, Márcio Medina heard the pilot's shouts for help and had to cut him free. 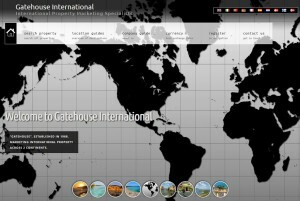 Gatehouse International have just launched a new site for their International property portfolio. It's now much easier to find a property, and there's more useful information. When you are looking at any one of our large range of International properties, you will be able to contact our local representative.